Home > FEHLING Triumph Crash Bars. 1200 Bobber Luggage Rack. Black. 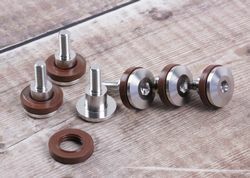 Plus Free Anti Vibration Stainless Bar Ends! Promotion! Crash Bars: Triumph Bonneville, SE, Thruxton & T100 (One Piece Chrome) +PLUS Free Co2 Tyre Inflation Kit! +PLUS Free Co2 Tyre Inflation Kit! In Zipped Handy Storage Wallet! ROCKET 3 & Roadster Fehling Rear Rack. Chrome Solo Seat Rack. ROCKET 3 Roadster Fehling Rear Rack Chrome. ROCKET 3 Roadster Sissy Bar/Rack With Backrest & Pad. "Solo Seat"
Plus! Free Set Of Chrome Exhaust Flange Covers! Rrp £29.99! ROCKET 3 Roadster. Sissy Bar Chrome With Backrest Pad For Dual Seat. ROCKET 3 Roadster/Classic Crashbar. Protection Guard, H-D 38mm Tube CHROME: 1 Pair Left&Right. Plus! Free R3 Chrome Exhaust Flange Covers! SPEEDMASTER & AMERICA Baggage Holders: Fehling Chrome Plated Steel. 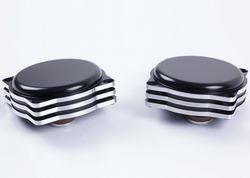 SPEEDMASTER & AMERICA Decorative Chrome Cover Battery Case, Left. Street Scrambler Luggage Rack/Grab Rail. Chrome Plated or Black 2017on. THUNDERBIRD & STORM Only! Fehling Sissy Bar made of tube, with pad and carrier. Not Commander or LT.
Thunderbird & Storm Rear Rack (B16BA) 2009on And Thunderbird Storm, (B1616BA/STOR) 2011on. THUNDERBIRD & STORM Solo Rack from metal sheet: Clearance Price!! THUNDERBIRD Commander LT: Fehling Driver Sissy Bar with pad and carrier. TIGER 1050 & SE Crash Bars: Fehling High Quality +FREE 110 Db Disc Lock Alarm! +FREE 110 Db Disc Lock Alarm! Givi, Touratech, SW Motech Top Box Carrier. Tiger Explorer 1200 Crash Bars 'Lower' (V13VG) Explorer 1200 Crash Protection Black. NOT XC! Upto 2015 Only. Fits Explorer 1200 Only. Not XC! TIGER Explorer 1200 Topcase Carrier / Luggage Rack Black. CLEARANCE PRICE! TIGER Explorer 1200 XC & Road: Passenger Comfort Boards TECH GLIDE By Highway Hawk. SKU: 4054783122417 Stock Clearance! Triumph America, (T986MK) 2007on. Speedmaster, (986ML2) 2008on Luggage Carrier. 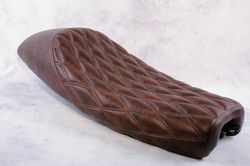 Triumph Bonneville Rear Grab Rail / Luggage Rack. 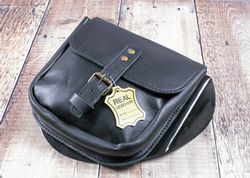 Triumph Bonneville T100 Fehling Bags Holder. Chrome Plated or Black (70G) 2017on. Triumph Bonneville T100 Fehling Luggage Grab Rail. Chrome Plated or Black (70G) 2017on. Triumph Bonneville T100 Fehling Seat Rail Border Rail. Chrome Plated or Black (70G) 2017on. Triumph Bonneville T100. Fehling Pannier Frames. Givi, Kappa (Monokey) Chrome or Black (70G) 2017on. Triumph Bonneville T100. Fehling Sissy Bar With Pad. Chrome or Black (70G) 2017on. Triumph Bonneville T120 Fehling Bags Holder. Chrome Plated or Black (75HW) 2017on. Triumph Bonneville T120 Fehling Luggage Grab Rail. Chrome Plated or Black (75HW) 2017on. Triumph Bonneville T120. Fehling Pannier Frames. Givi, Kappa (Monokey) Chrome or Black (75HW) 2017on. Triumph Bonneville, Thruxton & T100 Side Case Pannier Frames by Fehling.de 2002/15. Triumph Scrambler 800cc & 865cc Crash Bars One Piece Chrome +PLUS Free Co2 Tyre Inflation Kit! 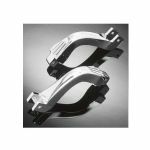 Triumph Scrambler Baggage Holder, Single Sided "Left Side Only"
TRIUMPH Speedmaster & America Crash bars / Engine Dresser Bars 30mm Tube. TRIUMPH Speedmaster & America Sissy Bar Made of Chrome Including Pad & luggage Carrier. TRIUMPH SPEEDMASTER Rear Rack Chrome. Triumph Street Cup Fehling Bags Holder. Chrome Plated (77G) 2017on. Triumph Street Cup Fehling Grab Rail. Chrome Plated (77G) 2017on. 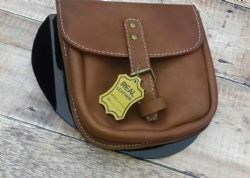 Triumph Street Twin Fehling Bags Holder. Chrome Plated or Black (74G) 2017on. Triumph Street Twin Fehling Grab Rail. Chrome Plated or Black (74G) 2017on. Triumph Street Twin. Fehling Pannier Frames. Givi, Kappa (Monokey) Chrome or Black (74G) 2017on. Triumph T100 Bonneville. Fehling Left Side Grab Handle/Lifter. Black or Chrome (70G) 2017on. Triumph Thruxton 1200 & 1200 R. Fehling Bags Holder. CHROME (71HF/72HF) 2017on. Triumph Thruxton 1200 & 1200 R. Fehling Crash Bars. Chrome Plated (72HF) 2017on. Triumph Thruxton 1200 & 1200 R. Fehling Grab Rail. Chrome Plated (72H4) 2017on. Triumph Thunderbird Commander & LT. Crash Bar Protection Guard one piece 38 mm Tube. TRIUMPH Tiger 955i 2001/06 Crash Bars [Not 885i] Fits 955i Spoke Wheel & Cast Wheel Tigers.